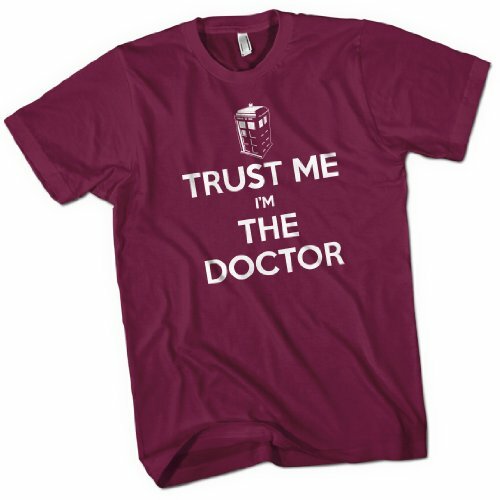 When everybody is in a panic and hiding behind the couch because of all those nasty baddies that are out there, tell them to stay calm, in fact just tell them to “Trust Me I’m the Doctor” And who wouldn’t believe you when you’ve got the T Shirt to prove it. Our premium quality Trust Me I’m the Doctor T-Shirt is screen printed using specialist screen printing inks that results in a high quality, soft feel print that will last for years. And like all good quality printing the print will age over time to giving an aged, retro look and feel!